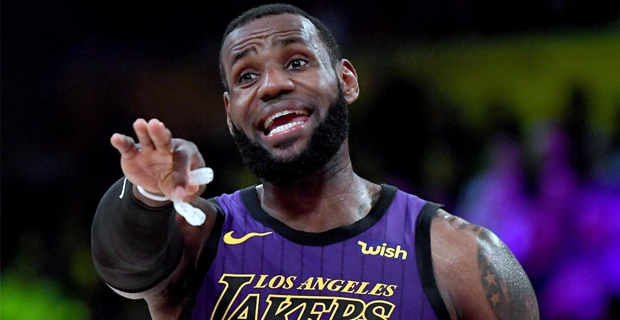 NBA superstar LeBron James will miss at least four more games with the Los Angeles Lakers while he recovers from a left groin strain. The Lakers today said James' injury will be re‑evaluated in one week. The four‑time NBA MVP already has missed four games after getting hurt during the Lakers' victory at Golden State on Christmas. His recovery schedule will keep him out of the team's upcoming two‑game road trip and a home game against Detroit next week. The Lakers are 1‑3 without James in their lineup. They host the New York Knicks today.